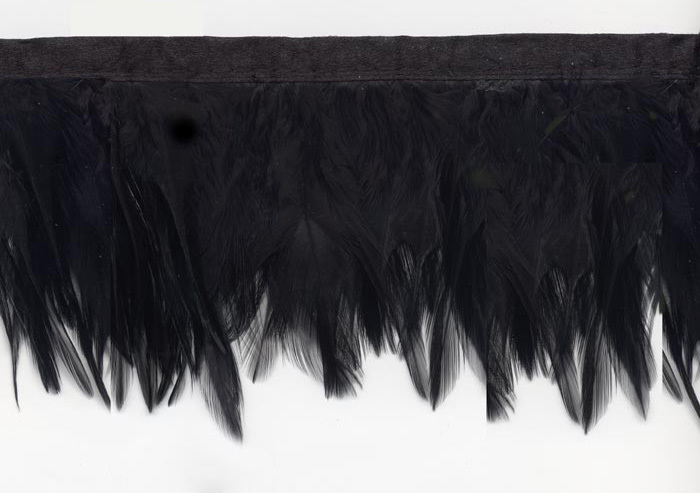 Black Raven feather trim is sleek and glossy, and truly elegant! This is a high quality, very full feather fringe with exceptional detail and craftsmanship. The feathers are 2- 1/2" long.